Today's vintage video feature is one near and dear to my heart... or should I say stomach? This commercial for Batman- The Cereal pretty much has it all- Shots from the film, an ominous voice over telling of the Dark Knight's unending quest to bring you breakfast, and Batman making a big ol' mess of his cereal for poor Alfred to clean up. 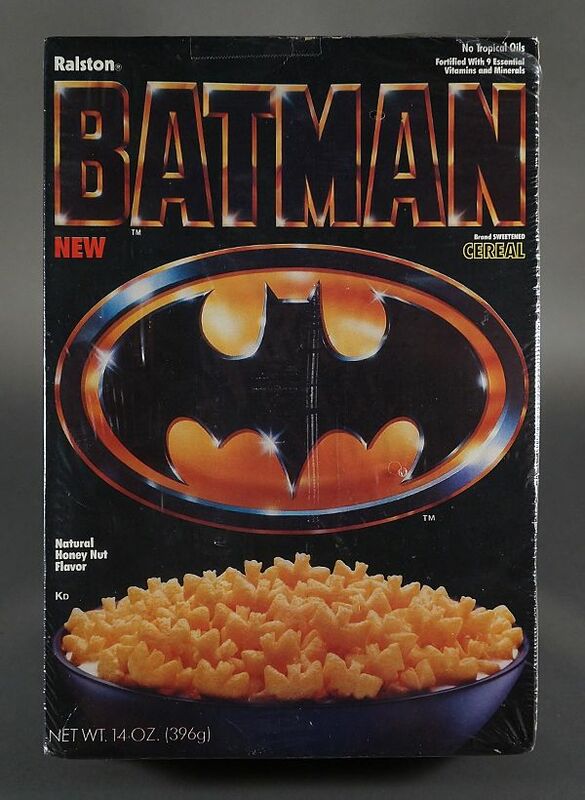 The Batman Cereal is one of my favorite memories of Batmania '89. When folks ask the age old question "What do you consider the best cereal of all-time? ", my answer is ALWAYS the Batman Cereal. 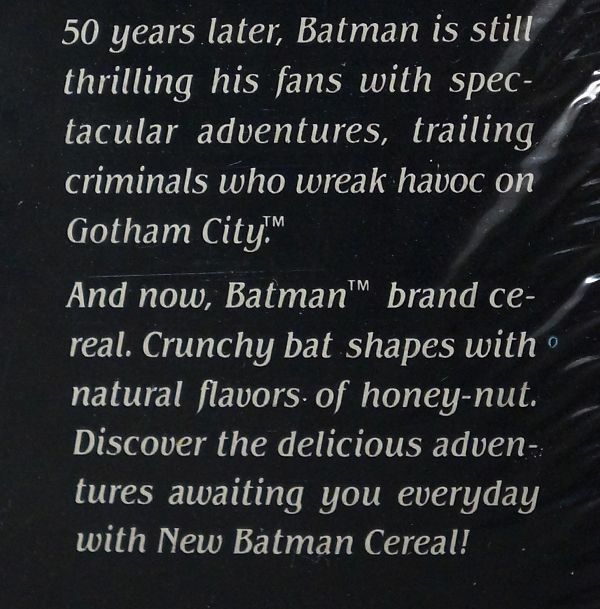 It wasn't just the fact that this was a Batman cereal (though I am sure that has helped color my memory of it). This was one of the rare tie-in cereals that I actually enjoyed the taste of. My memory has it tasting a bit like Cap'n Crunch, but with more of a honey sweetness. More like Honey Nut Oh's, except without the actual nut pieces. 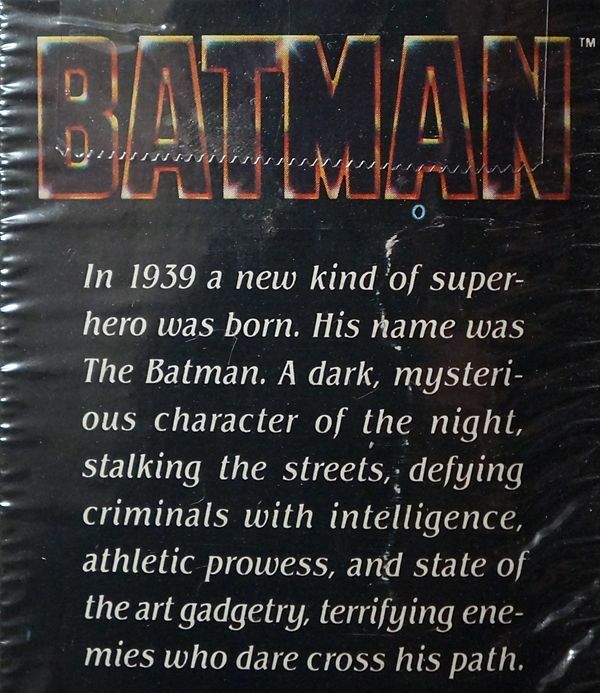 Then there was the box... Emblazoned with the movie logo (on both sides in some cases), with a history of Batman printed along one side panel. I can't tell you how many mornings I spent reading and re-reading this cardboard treasure. Of course the main draw of a cereal for a kid isn't the taste or the box... It is the prize. Batman the cereal had plenty, from flying discs to comics to posters. 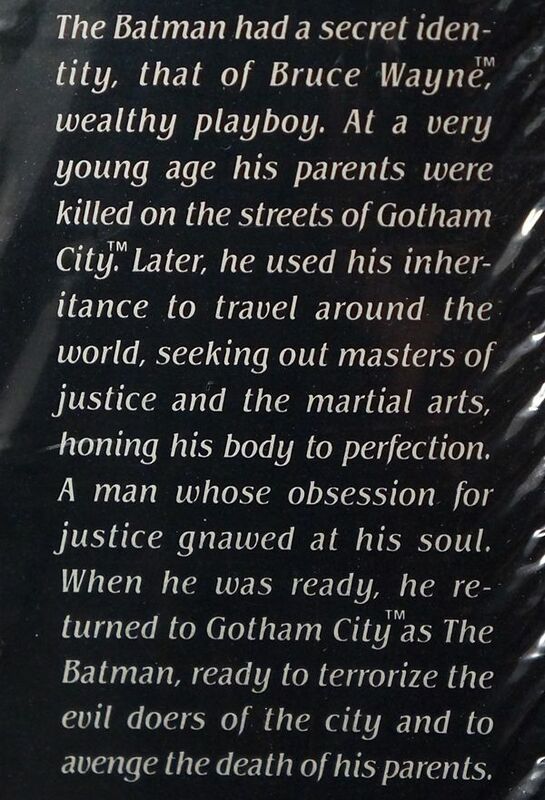 But the one that everyone remembers is the big honking plastic Batman bust bank. A cereal premium so big that they had to shrink-wrap it to the front of the box! Sure, the face is just a sticker (compared to the fully sculpted version you'd find with Batman tortilla chips)... But who cares? Batman has got your change locked down. Wow, this really takes me back! 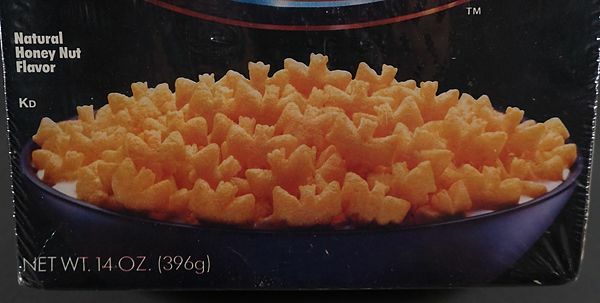 I too LOVE(D) this cereal. I'll never forget the first time I saw it on the grocery shelf. I think every shopper in there heard my yelp of excitement. Thankfully the cereal itself really was delicious. Not overly sweet and stayed crunchy for quite long time in milk. I still have my Batman bank, but I fear the boxes I saved are long gone. I'm keeping my foolish hope alive that the cereal will get a limited re-release like the General Mills monsters cereals do. 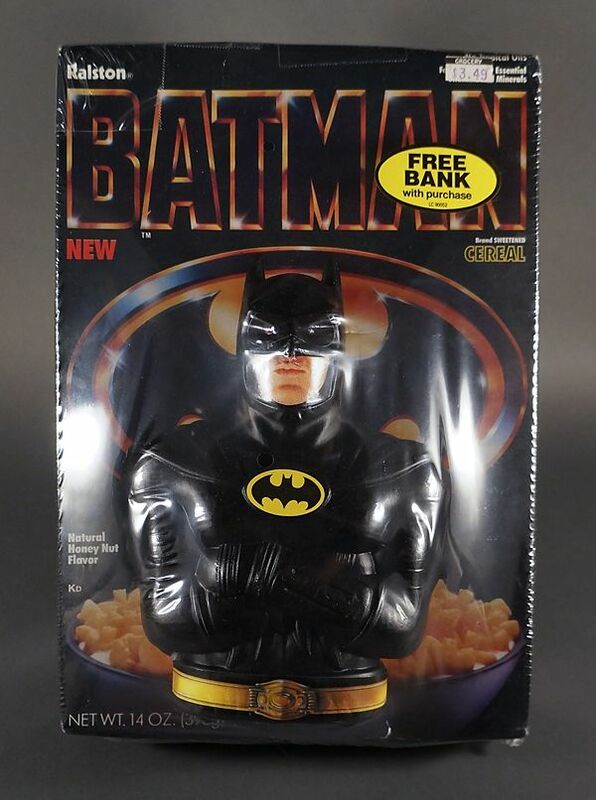 What are your thoughts on the Batman Returns cereal? I didn't like it near as much as this one.